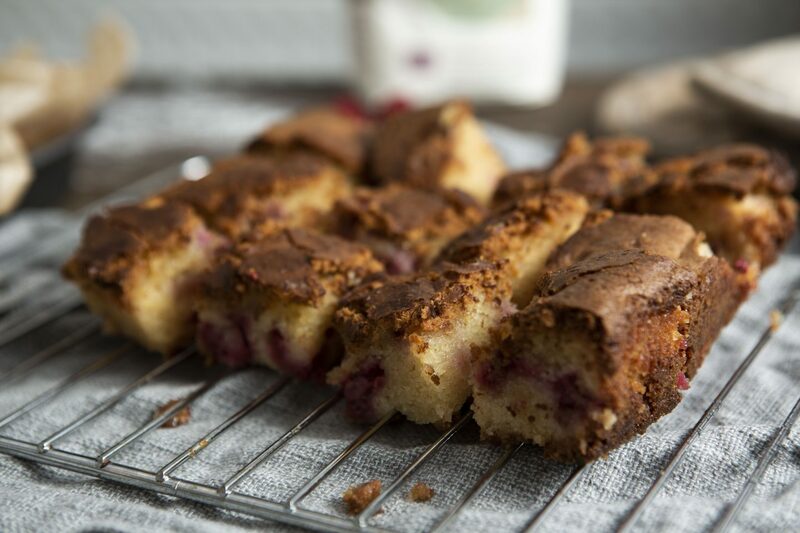 These simple gluten free blondies are so moreish and so quick to make. 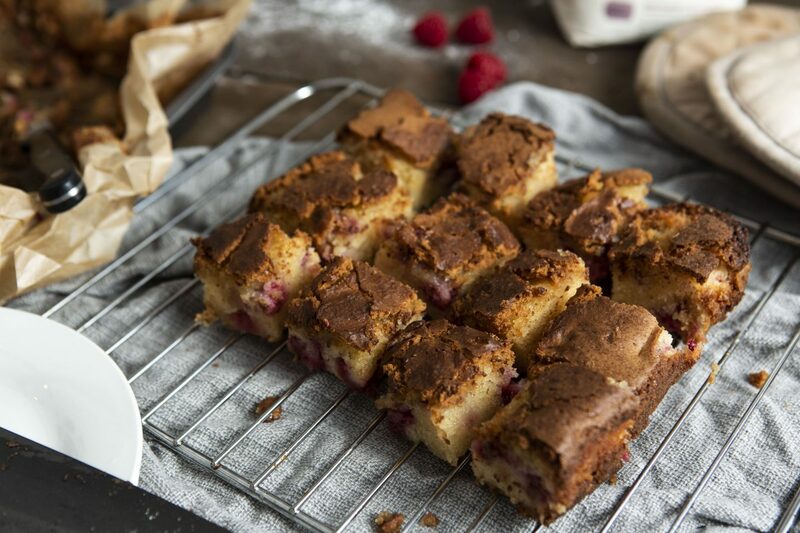 White chocolate and raspberry work so well together in this easy twist on the traditional brownie. Oh, and you wouldn’t know they were gluten free! Preheat the oven to 180°C, gas mark 4. Grease and line a 20x20cm (square) baking tin with grease proof paper / parchment. Melt together the chocolate, butter and golden syrup over a pan of boiling water. Stirring continuously to combine. Mix together your flour and sugar in a separate bowl. In a jug, whisk the eggs. Slowly add the egg mixture to the flour mixture to combine, maxing a smooth batter. Once the chocolate mixture is fully melted, combine with the egg / flour mixture. Mix well to get a smooth and even pale batter. Add the raspberries and combine. Pour the mix into the prepared baking dish. Cook in the oven for 40-45 mins, until you can put a skewer through the brownies and it comes out clean. Bring out of the oven and leave to cool. Once cold, remove from the tin using the edges of the parchment and cut into squares. 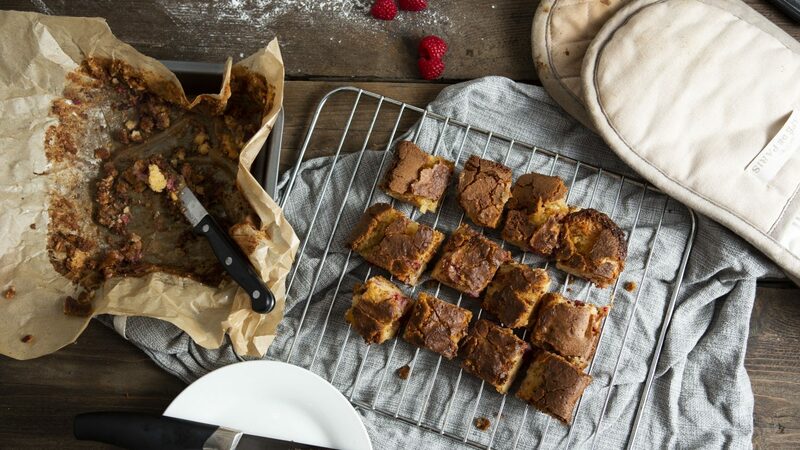 Blondies are simply a brownie but with white chocolate – sweet, cakey and so delicious, you will want to keep making these! Let me know which recipes you would like to see next.